Our exclusive woven wood blinds are made with only the strongest and most durable materials. Using extraordinary craftsmanship, our woven wood blinds are made for superior quality that minimizes stretching, bowing, breaking and fading. If you are looking for a great balance between form and function, then these blinds may just be the ticket. They also happen to be great for the environment. 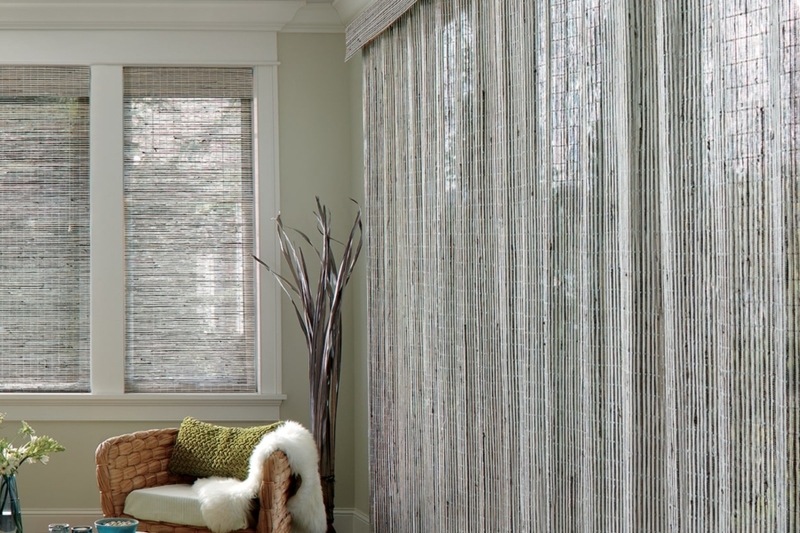 Unlike Faux Wood, Metal, or Plastic window blinds, our blinds use only natural-sustainable-reeds, grasses and woods. Just consider for a moment what type of carbon footprint is needed to make just one plastic or metal wood blind. Now consider the impact to the environment when homeowners throw away their old blinds. Isn’t using natural-sustainable reeds, grasses and woods a smarter choice. Not Just Great for The Enviornment – They Are Beautiful To. Each blind is hand-woven to your exact specification. You can have your window blinds made to fit inside your frame or outside. The choice is yours. Furthermore, our woven wood blinds come in five different styles, can be oriented vertically or horizontally and can be custom build in widths from 12 inches up to 192 inches. This is why we are so sure we can create a window blind you are going to love. Optional liners can be installed that further increase light control while simultaneously providing energy-saving insulation. And your woven wood blinds can be easily customized with options valances and edge bandings. These bandings and valances give you the freedom to make your blinds truly your own—matching your own unique style. This allows you the ability to customize your shades to match any room décor. Out blinds protect you and your valuables form the sun with over 75% protection from harmful UV rays. Optional Top-Down/Bottom-Up feature. Allows you to open your blinds from the top, from the bottom, or anywhere in between to find that perfect blend of privacy and light.